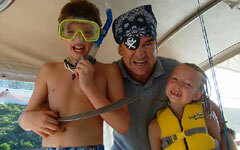 Caribbean yacht charters are a great option for celebrations of any kind and can be enjoyed by people of any age. Honeymoons, trips with friends or company team building are only some of the possibilities. Bring the kids too, they’ll love it! And with them tucked in bed, dreaming of pirates and buried treasures you can enjoy a superb diner, listening to the cicadas ashore, while planning the next day’s adventures. The British Virgin Islands (BVI) is the perfect place for a luxury yacht charter with 60 beautiful islands and cays within a small area. On a BVI yacht charter you only have to sail for a couple of hours to get to the next enchanted bay, so for your first Caribbean sailing vacation it is a great choice. 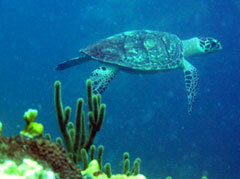 There is a wealth of activities with amazing diving, great snorkeling and perfect white beaches. Kite-surfing and hiking are other options or you can just hang out and relax…. St. Vincent and the Grenadines has also become very popular for crewed luxury yacht charters with many diversified islands to explore. This archipelago has 32 islands, but they are further apart than in the BVI, which is great for some exhilarating sailing. The Tobago Keys is probably the most stunning place of them all and a real “must see”. The Grenadines has much to offer and a very Caribbean soul and attitude. A Golf Cruise as focus for a luxury yacht charter in the Caribbean visiting many islands is another possibility. 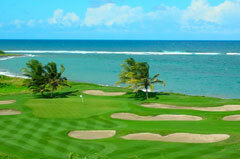 Unknown to most people, there are some great golf courses tucked away on small islands in the eastern Caribbean. Most of these islands are only accessible, by plane or private yacht. We have done extensive research on the subject and will be happy to arrange your private golf cruise! The San Blas Islands in Panama is probably the best kept secret amongst the Caribbean islands and offers some real adventure. 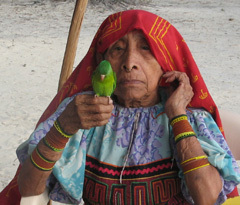 The 400 islands are home to the Kuna Indians, who still live by many of the old traditions. Their homes are crafted out of bamboo with a palm-thatched roof, and dugout canoes are still the means of transportation. The islands are pristine and the culture fascinating and a crewed Caribbean yacht charter in this area will be an amazing adventure!!! The Caribbean sailing season is almost all year around, but September and October get very hot and humid. This is also the height of hurricane season and the Mediterranean is a much better location for that time of the year.